LA Muscle Possessed Review | Buy or a Scam? 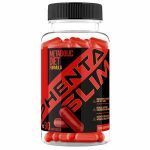 Supplement companies are constantly changing the list of products they offer, refining or discontinuing products that are no longer profitable or popular, and introducing new products, often following the fads of the market. 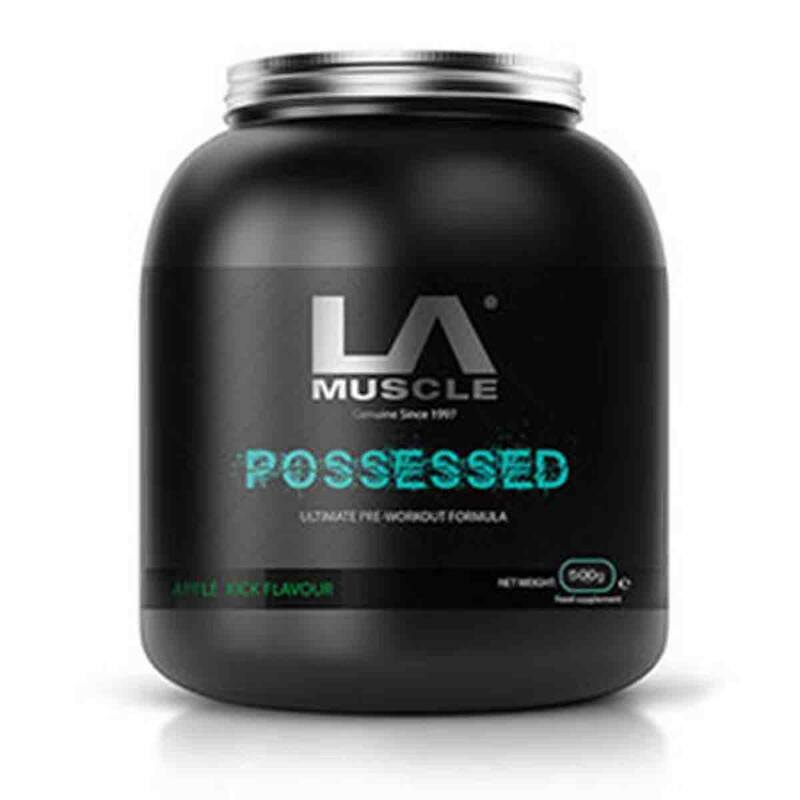 LA Muscle Possessed is a pre-workout supplement that LA Muscle appears to have discontinued. Below we take an in-depth look at LA Muscle Possessed, to see what benefits it offers consumers. LA Muscle Possessed is a pre-workout supplement designed to increase energy levels, boost muscle pumps, and increase strength and power. The product contains caffeine. LA Muscle Possessed appears to have been discontinued, and only has limited availability on some third-party retail websites. What Are The Side Effects Of LA Muscle Possessed? There are numerous ingredients found in LA Muscle Possessed that could cause a range of side effects. Maltodextrin has a very high GI rating and can raise your blood sugar levels very quickly. This means that this supplement is unlikely to be suitable for diabetics. Signs that maltodextrin has caused your blood sugar to spike include a sudden headache, increased thirst, trouble concentrating, blurred vision, and fatigue. If you experience any of these symptoms, check your blood sugar levels immediately. If they’re too high, contact your doctor. Citrulline Malate can cause an upset stomach in some people, but this is less likely if taken on an empty stomach. Arginine supplementation can cause some side effects such as abdominal pain, bloating, diarrhoea, gout, blood abnormalities, allergies, airway inflammation, worsening of asthma, and low blood pressure. Consuming large quantities of caffeine can lead to headaches, increased heart rate, increased blood pressure, heart palpitations, increased urination, dehydration, jitteriness, dizziness, and insomnia. How Much Does LA Muscle Possessed Cost? It appears that LA Muscle Possessed has been discontinued, and is no longer listed on the official LA Muscle website. However, it used to be priced at $52.02. The product may still be available sporadically on eBay, but prices may vary hugely between listings. 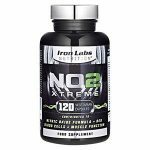 LA Muscle products, in general, do appear to be quite expensive, and discontinued products sold on eBay can sometimes be listed at an inflated rate, especially if the product was popular. We are not impressed by LA Muscle Possessed. The product appears to have been discontinued and has very limited availability. Although LA Muscle offers a 30-day returns policy, it is unclear whether or not Possessed will still be covered by this policy (as it is no longer listed on the official LA Muscle website). There are several ingredients found in the supplement that could potentially contribute to a good workout, but the product contains an unknown amount of maltodextrin (it is listed as the main ingredient and so there are at least 3 grams per serving). Maltodextrin can affect blood sugar levels, and consists of highly processed carbohydrates; this means that the supplement may not be suitable for diabetics. The product also contains a significant amount of caffeine, which could cause a range of side effects. Overall, we do not recommend LA Muscle Possessed to our readers. LA Muscle Possessed is a pre-workout supplement that is designed to boost muscle pumps and energy levels, and to increase speed and power output. The supplement contains some caffeine, as well as a variety of ingredients that may help to increase Arginine levels in the body. LA Muscle Possessed is manufactured by LA Muscle, who are based in London in the UK. They can be contacted using the information provided on their official website. Beginner dosage: Add 1 level scoop (10 g) to 125-175 ml of cold water in your LA Shaker. 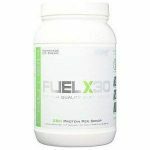 Shake well and consume 30 minutes before your workout. Advanced dosage: Add 2 level scoops (20g) to 250-350 ml of cold water in your LA Shaker. Shake well and consume 30 minutes before your workout. Start with a smaller dosage to assess tolerance before increasing to the larger Advanced dosage. Contains 150 mg of caffeine per scoop. What Does LA Muscle Possessed Claim To Do? The manufacturers of Possessed describe it as “the pre-workout formula you have to have”. 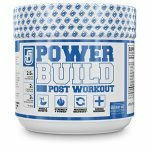 They state that its benefits include incredible muscle pumps, enhanced energy levels, and increased speed and power output. Does LA Muscle Possessed Work? There are several ingredients found in Possessed that could help to improve performance during a workout. Arginine is thought to increase Nitric Oxide production in the body, which in turn increases blood flow by causing vasodilation in blood vessels. However, Arginine is absorbed very poorly by the body, and studies are incredibly mixed as to whether Arginine supplementation actually works or not. AAKG has improved absorption compared with L-Arginine. Citrulline is converted into Arginine in the kidneys and has a much better absorption rate than Arginine, to the point where Citrulline is able to increase levels of plasma arginine more effective than arginine itself. Beta-alanine can help to increase strength and power, helping to maximise performance in the gym. Tingling muscles are a good indicator that it is working and has been dosed correctly for you. Caffeine can increase energy levels, which is obviously useful in a pre-workout supplement. Caffeine also helps to increase the metabolic rate of the body slightly, helping to burn calories. Overall, LA Muscle Possessed could provide a range of benefits that are useful for maximising the benefits of a workout. What Are The Ingredients of LA Muscle Possessed? The ingredients found in LA Muscle Possessed are detailed below. The ingredient quantities listed are per serving of one level scoop (10 grams), but consumers can take up to two scoops per day. Does LA Muscle Possessed Have Any Side Effects? There are numerous ingredients found in LA Muscle Possessed that could cause a range of side effects. Each scoop of the supplement contains 150 mg of caffeine, and so we recommend starting with a small dosage to assess your personal tolerance; the “Advanced Serving” of two scoops contains a total 300 mg of caffeine, and is far more likely to cause side effects. Maltodextrin has a very high GI rating and can raise your blood sugar levels very quickly. This means that this supplement is unlikely to be suitable for diabetics. Signs that maltodextrin has caused your blood sugar to spike, including a sudden headache, increased thirst, trouble concentrating, blurred vision, and fatigue. If you experience any of these symptoms, check your blood sugar levels immediately. If they are too high, contact your doctor. 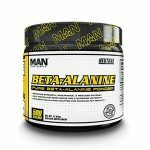 The most common side effect of Beta Alanine is a tingling sensation in the muscles; many consider this a sign that the Beta-alanine is working, and as evidence that the supplement is indeed correctly dosed. Some people may dislike the tingling sensation, but it is not a sign of anything negative or more serious. Flushing is also a side effect caused by taking high doses of Beta alanine. Creatine can cause some side effects including stomach pain, nausea, diarrhea, and muscle cramping. Creatine causes muscles to draw water from the rest of your body. Not suitable for pregnant or breastfeeding women. Not suitable for anyone under the age of 18. If you have high or low blood pressure, consult your doctor before purchase, as Arginine and Citrulline supplementation may affect blood pressure. 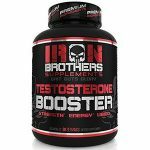 If you are unsure about the suitability of this supplement for you, consult your doctor before purchase. Not suitable for anyone who is sensitive to caffeine and other stimulants. Not suitable for anyone who has any cardiac related health conditions, including but not limited to high blood pressure. Maltodextrin may affect blood sugar levels and so may not be suitable for use by diabetics. Are There Any Customer Reviews For LA Muscle Possessed? There are numerous customer reviews for the product on Amazon. Overall, possessed has a good average rating of 3.7 out of five. Numerous customers dislike the product’s taste. I never used to use a pre workout just creatine before I head to the gym but this is a good product to use and then take some creatine after to maximise the results. I’m not a big guy but I did need two scoops rather than one to feel anything at all. Take it 30 minutes before u go to the gym and u will be golden. The only thing I don’t like is the taste, honestly I’m really not a fan but you take it quickly and the rewards are worth the bad taste. Vile. Just vile. Does not in any way shape or form taste like apple. Does not mix well. True it has 300mg caffeine per dose but I implore you to be kind to your taste buds and buy a different one like USN b4 Bomb cherry, less caffeine but tastes and mixes so much better. Does LA Muscle Possessed Offer a Money-Back Guarantee? The manufacturers of LA Muscle Possessed offer a 30-day returns policy. They do not expressly state whether or not they offer returns on opened products or not. 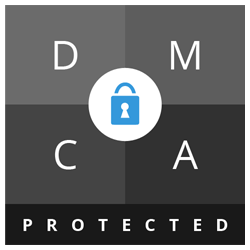 Customers should contact the company to ensure that they are eligible for a refund. Full details can be found on the official LA Muscle website. However, the product appears to no longer be available direct from the manufacturers, and can only be purchased from third-party retailers (including on eBay). Returns policies offered by third-party retailers may vary, and should be checked individually. Where Can I Buy LA Muscle Possessed? It appears that LA Muscle Possessed has been discontinued, and is no longer listed on the official LA Muscle website. The product may still be available sporadically on eBay, but prices may vary hugely between listings. The Muscle Watchdog does not recommend LA Muscle Possessed.